I’m a sucker for collecting things in games, especially in open world games. I spent too many hours running around collecting treasure boxes in Assassin’s Creed II, even though my many businesses and side-missions had my pocket flush with cash; I ventured into many areas I had no right entering in inFAMOUS because there was a blast shard I just absolutely needed to get; No gold brick goes unfound within a Lego game (unless we’re talking Lego Dimensions where you literally at times have to spend real life money to get them) and every time I play Batman: Arkham Asylum, I collect all the Riddler trophies. As much as I sadly can’t turn off the compulsion to clear my a game’s map of feathers, treasure chests, or green question marks, there are games that make the process of filling out a checklist of things to find much better than others. The above mentioned treasure boxes in Assassin’s Creed II are an example of how to do collectibles wrong, as they add little to a game that has so much stuff to do that all has so much meaning to it all. Batman: Arkham Asylum is a game that gets the act of collecting things in a video game right, and it does this by putting context and meaning behind the rewards. 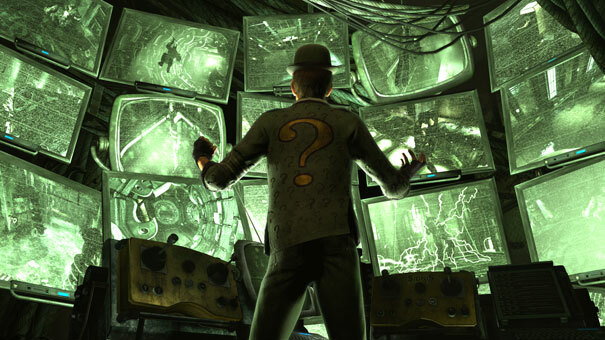 In Batman: Arkham Asylum, the context behind the Riddler trophies is that he escaped from Arkham Asylum, as revealed in the doctor/patient interview tapes that you eventually find while playing the game, and he’s hidden various things around the Asylum that, in true Riddler fashion, will lead to his capture. 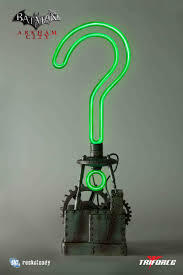 These range from actual riddles that needed to be solved within areas, green question mark trophies that need to be uncovered and joker teeth that need to be destroyed. Clearing each of the areas within the Asylum of their Riddler challenges lead to Batman eventually discovering the location of the villain so that the police can return him to custody. Putting aside the fact that I think it’s a bit video game-y that the Riddler would spend all this time hiding trophies and painting giant, invisible question marks that can only be seen when viewed in detective vision from specific angles, which gets more ridiculous in Batman: Arkham Knight’s race courses, I always felt that how both the character of the Riddler and his relationship with Batman was handled excellently in Batman: Arkham Asylum. The Riddler’s challenges in Arkham Asylum in my mind are one big boss fight that take place over the course of the entire campaign. The Riddler is a villain who challenges Batman’s mind, not his physique, so having to solve riddles to catch him are far better than just having to face him in a giant robo….oh wait, they did that didn’t they. But not only is how you interact with the Riddler in Arkham Asylum true to the character, but also to Batman’s as well. What sometimes breaks the immersion in open world games to me is my inability to not collect things in the face of urgency. I bring up Assassin’s Creed II again, it is one of my favourite games I’d like to preface, but there would be so many times when the story dictated urgency, but I would put all progress to a screeching halt because I just got a new treasure map, or some new assassin contracts opened. The whole game world stops while you do these things, even when it shouldn’t. In the case of the Riddler, him waiting for you to answer his riddles is par for the course, and Batman actually indulging him is to very much in line with that character as well. Despite the danger going in within the asylum and the ramifications if the Joker’s plan actually comes to fruition, there’s no sweating the small stuff for Batman and from years of reading, watching or playing stories with the character, I feel he would find time to stop the Riddler while dealing with the carnage within the asylum. What’s also great about how the collectibles work within Arkham Asylum is that they not only bring more casual fans up to speed on the origin of some of the characters, but reward long time Batman fans as well. The interview tapes you find, one of the types of things you have to hunt down, are audio logs that actually make sense in that they were recorded between a doctor and the various “super criminals” as they’re referred to within the recordings. The sessions between a pre-Harley Quinn Harleen Quinzel with the Joker explains that characters origin and her twisted relationship with the main villain of the game, for example, and the Joker’s line of interview sessions bring back story to the proceedings as well. The riddles you have to solve, save the lining up the period at the bottom of the question mark ones, are rarely often obscure, and fun to solve for Batman fans. Even those who only casually like Batman from either the films or the television series will know to look for something related to Two-Face when the name Harvey Dent is uttered, or that when the Penguin is mentioned, you’re probably going to be looking for an umbrella. For those who couldn’t be bothered to even look, one of the things you find in each area is a map that reveals where everything is if you get stumped or couldn’t be bothered. While I feel this mechanic was handled much better in the sequels as you have to shake down informants who helped the Riddler set up these elaborate plans, I think the map’s in Batman: Arkham Asylum are still somewhat in-line with the character’s psychosis because leaving riddles at the scene of a crime always gets him caught, so to is leaving the answers. For the Arkham sequels, both those done by Rocksteady and the game not done by them, Batman: Arkham Origins, it felt like the direction the series went didn’t fit the Riddler in the same way that Arkham Asylum did. For one, the number of things to be found became too excessive. 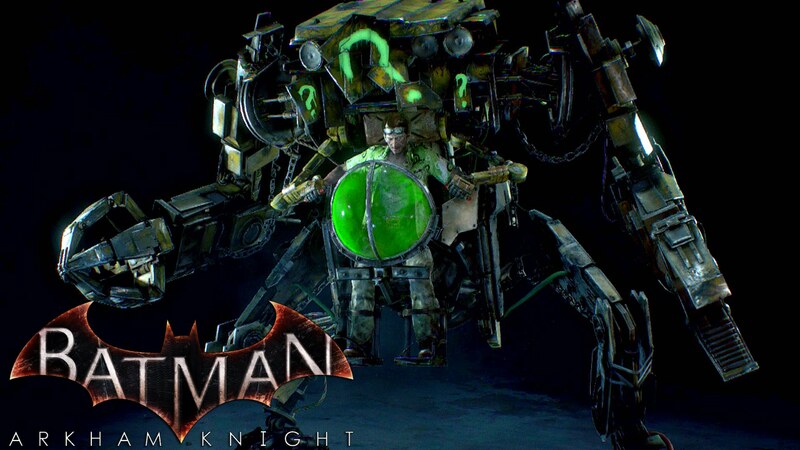 Asylum has just the right amount to not feel like a chore, but City, Origins, and in particular Batman: Arkham Knight, make it feel like doing Riddler challenges are longer than the actual game. I’m currently at the end game of Batman: Arkham City in the Return to Arkham collection, and I have around two hundred and seventy out of a possible four hundred and forty Riddler challenges to complete. I have every intention of getting all of them, which will only make it the second time I ever do so, but the lure of other games may pull me away before I get to the end. Secondly, because Arkham Asylum’s world was so contained, it made finding the answer to the Riddler’s riddles something you could do without the need of a map or informant. That’s due to how small Arkham Asylum is in comparison to its sequels. Even in the various open areas that exist between the facilities on arkham island, you can still somewhat easily find the thing that stands out that will solve a riddle. These are also mostly bridging areas between the buildings of the facility and you spend most of the game within interior environments. When a riddle is given to you, which happens when you enter a room in big green letters, you can within reason find an answer to a riddle. In the game’s direct sequel, Arkham City, it’s much more difficult and frustrating to find an answer to a riddle when most of the game you’re travelling through a very large open map. It’s more reasonable to find Catwoman’s gear in a room in a building in Arkham Asylum than it is to find a poster for the Flying Grayson’s that could be anywhere within a city block. This leads more often that not to finding an answer without a question. The audio logs, something you could listen to while exploring and still playing, turned into “Arkham City Stories” that I’m sure contain a lot of interesting information about the events leading up to the construction of Arkham City, but, and call me ignorant if you want, I’m less compelled to stop the game and read a text log than listen to an audio recording. It seems that ever since the days that the plat-former became the genre of choice in the first generation of 3-D consoles that collectibles have become more prevalent in video games, especially now that open world games, with their towers to take over and hidden packages to find, are more or less the new plat-former. There’s a way to make hunting things down meaningful to a game overall, and also a way to make the player feel like they’re just wasting time because a developer added something to artifically increase a game’s length with the promise of “value”. Batman: Arkham Asylum is a prime example of how to do collectibles right, something that even its sequels couldn’t quite get right. For developers who want to make players spend their valuable time in the search of virtual Easter eggs, look no further than Batman: Arkham Asylum about how to make a player feel like they’re not wasting their time and doing something natural.